Part of the Garmin Connext® family of flight connectivity solutions, the Flight Stream 110/210 is a small wireless gateway that is easily installed in your aircraft, enabling a combination of up to 2 compatible tablets or phones to stream information to and from your avionics system via Bluetooth®.The Flight Stream 110 offers GPS, weather and traffic streaming from the GDL 84 or GDL 88 ADS-B datalinks and GDL 69 SiriusXM™ datalink, while the Flight Stream 210 adds the capability for flight plan syncing with the GTN 750/650 series and GNS 430W/530W series navigators as well as the ability to display attitude information using an on-board AHRS¹. As a result, you’re able to use your mobile device’s touchscreen as a true cockpit interface – capable of transferring flight plans, streaming high quality GPS and AHRS attitude information to reveal rich 3-D synthetic vision display, graphically depicting subscription-free weather and traffic with our patent-pending TargetTrend™ traffic and TerminalTraffic™ display, controlling your SiriusXM system’s audio entertainment channels and much more¹. With the wireless mobility supported by your Flight Stream 210, you’ll enjoy more freedom and flexibility in everything from preflight preparations to inflight cockpit management. 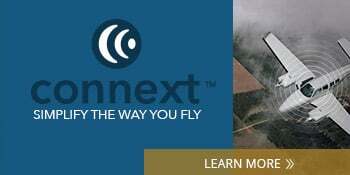 For example, instead of sitting in a too hot or too cold aircraft to manually enter all flight plan and waypoint information into your GTN or GNS prior to takeoff, simply use the flight plan that you’ve already created and filed during your pre-flight planning using Garmin Pilot – whenever and wherever it’s convenient – and then wirelessly upload it all to your avionics within moments of arriving at the flight line. You save time. You stay comfortable. And you get airborne more quickly, thanks to the upload-and-go convenience of your Flight Stream wireless link. Flight Stream 210 can pair an Apple mobile device operating Garmin Pilot to the GTN to access text and voice services enabled by a GSR 56 datalink¹. While in-flight or on the ground, pilots can quickly send and receive messages using Garmin Pilot on an Apple mobile device, which utilizes a familiar conversation format with the device’s existing contact database. Similarly, customers can initiate phone calls on a compatible Apple® mobile device when connected to the Connext network, so it’s easier to complete phone calls over a headset while in flight. The GSR 56 also supports the display of Connext weather on compatible avionics. Once you’re off and flying, the Flight Stream 110/210 lets you use your portable device to wirelessly access information from your avionics. 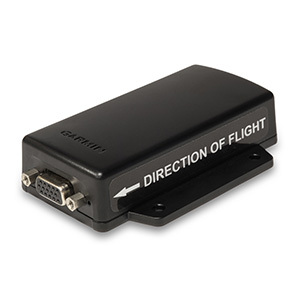 So, you can enhance your mobile product's map and flight displays with graphical weather, traffic, GPS position reference, AHRS for backup attitude and 3-D synthetic vision displays – using all of the avionics you’ve already invested in and reducing clutter from individual portable solutions¹. What’s more with the Flight Stream 210, keeping flight plans in sync between your tablet and your avionics is a cinch: Enter the waypoints, airways or airports on one device, and with a tap or two, your entries are automatically transferred to the other. So, there’s no duplication of effort on your part when it comes to keeping everything in sync. When pairing a GNS 430W/530W series navigator and either a GDL 88 ADS-B datalink or GDL 69 SiriusXM datalink — adding a Flight Stream is an easy way to see all of the weather benefits on a higher resolution display which can include: animated NEXRAD imagery, METARs, TAFs, winds and temperatures aloft, PIREPs, NOTAMs and much more. Even better, use the GDL 88 ADS-B datalink to meet U.S. ADS-B equipage requirements for Dec. 31, 2019 and pair it with a Flight Stream to receive all of the ADS-B traffic and weather benefits right on your mobile device. On a Sirius note, if your aircraft also has a GDL 69/A SiriusXM datalink on its equipment list, you can use the Flight Stream 110/210’s Bluetooth connectivity to let your iPad or a passenger’s iPhone® double as a wireless remote for your SiriusXM satellite audio system. That way, you can access more of the safety-enhancing information you really want to see in the cockpit — while utilizing the same technology to minimize distracting interruptions from your channel-surfing audiophiles in the passenger seats. That’s the beauty of wireless workload reduction — made possible by the Garmin Flight Stream 110/210. ¹Capabilities such as GPS, attitude, weather, traffic and flight plan transfer, SiriusXM weather and audio control are limited to the version of Flight Stream, the avionics installed in the aircraft as well as portable device. Compatibilities continue to grow with more apps and portables. Please reference the hardware compatibility chart as well as the Support Devices tab for details.